You are here Home » News » Corporate News » Viva Las Liniar! 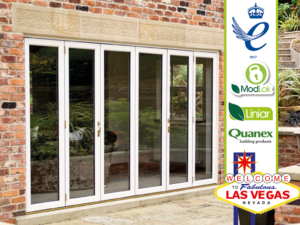 Liniar’s parent company, Quanex Building Products, will be showcasing its range at this year’s GlassBuild America in Las Vegas in September – and a set of UK-designed, award-winning ModLok™ bi-fold doors will be taking a starring role on the stand. 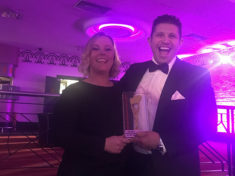 The unique, ground-breaking uPVC bi-fold has had an impressive impact on the fenestration industry since its launch in 2014 and was acknowledged at the highest level with a Queen’s Award for Enterprise in Innovation last year. 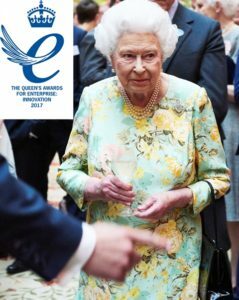 Liniar CEO Roger Hartshorn, accompanied by Bill Griffiths, President and CEO of Quanex, attended a reception at Buckingham Palace in recognition of the award, meeting Her Majesty the Queen and the Duke of Edinburgh. “We know the American market is keen to discover what makes the ModLok™ bi-fold such a special product,” commented Robert Thiroff, Liniar’s International Sales Director. “There really is nothing like it currently available in the States. 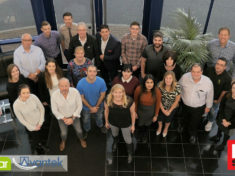 “The unique exoskeleton, combining reinforcement and security with a patented thermal lock, offers a uPVC bi-fold that acts as an aluminium door and we’re certain that it’ll attract plenty of attention. Now in its 16th year, GlassBuild America takes place on September 12-14 and is the largest annual gathering place for the glass, window and door industries in North America. 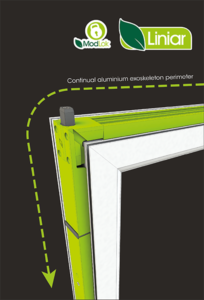 As well as the ModLok™ bi-fold, Quanex will be displaying a number of products and solutions at the event. “We’re excited to be back at GlassBuild, where we’ll be highlighting our high-performance products and the technical expertise that helps manufacturers get the most from their operations,” says Erin Johnson, director of marketing for Quanex.